It’s hard to escape myths, legends and facts surrounding casino games, due to the fact many players like to know a little history to the game they are about to spend their hard earned money on. Slot machines are no different and offer a whole host of stories to their players so, without further ado, here are some of the top myths and facts regarding what is arguably considered to be the casino’s most popular game. If you want to play while you read, then you can find and play exclusive slots at 32Red. 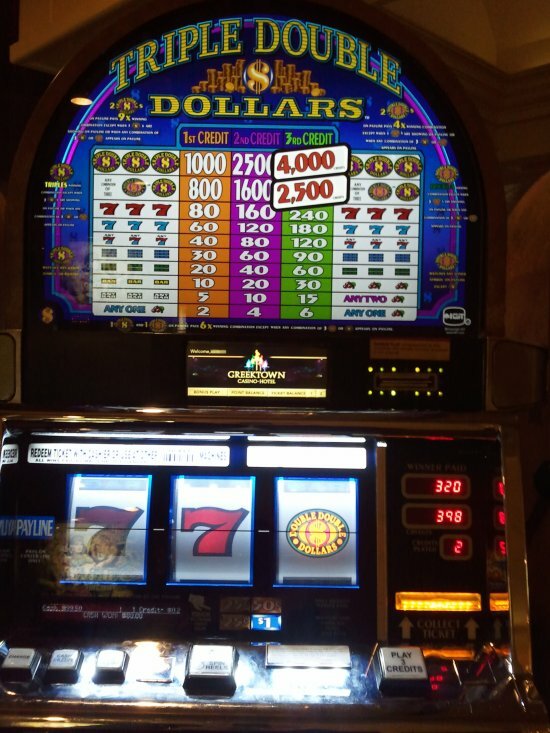 Triple Double Dollars is an example of a three reel, single payline slot machine. Each spin of a slot machine is completely independent. All the myths and stories that your chances of winning are predetermined, or that every spin has a knock-on effect to the next are purely that, just myths. So if you have ever seen somebody hit the jackpot on a particular machine, don’t be afraid to sit down and try your hand on the reels. The location of a slot machine in a casino dictates the odds of you winning. As previously stated, all spins are independent and that also goes for machines. No matter where you decide to play, whether it be as close to the doors or as far away from the kitchen as can be, you still have exactly the same chance of winning as the guy sat at the machine slap-bang in the middle of the casino. Yes, you guessed it, it’s another myth regarding your chances of a pay-out, only this time it is to do with management. People have often stated that casinos tighten up their games during busy hours in order to restrict chances of winning, but yes, once again this is a myth. The machines are randomly generated so if the slots are packed, you can still sit down and have the same chance of winning as you would if you were the only one in the place. This one is slightly surprising to say the least, but no, the machines do not contain people inside, who decide whether you win or lose. As ridiculous as it sounds, people have come to the conclusion that the reason they aren’t winning on the slots is because they are being manually operated from the inside. Well you will be relieved to know that the machines do not house people who sit inside and operate the machines and it most certainly isn’t because they "didn’t like the look of me when I sat down." Casinos are actually designed to ensure the player comes back. This means that, while your pay-outs may not be extraordinary or noteworthy, but they will be large enough to ensure you sustain a long enough playing time on a particular slot that you will leave with the thoughts that you should go back in case you strike lucky next time. Try a leading online casino with an excellent variety of slots games. Have a spin at over 100 slot machines, including traditional three-reel, and video slots, just for fun. Learn about online progressive slot games, and check live jackpot totals. See the monthly top 5 highest paying online casinos for slots games. Learn about slot machine payouts with expected return rates for both land-based and online casino slots games. Should You Change Roulette Strategy? Gain perspective on playing the game in different situations. Find background info and check running jackpots for some of the internet's biggest progressive slot machines. Have a spin at Cashville video slot (pictured) and over 100 more three and five reel slots games just for fun in free slot machines. Browse winning pictures of three reel, five reel, and progressive slots games, including reviews of each in the casino wins gallery. Find a preferred place to play the slots with important details for each of our recommended online casinos. Learn about Tomb Raider video slots and many more of the casino games found at mobile casinos. Explore the numbers behind the reels with expected payouts for land-based slots and a monthly ranking of top paying online casinos by slots games.